Every Android user who loves modding and tweaking their device, who wants to try different firmware’s, root their phone, install a custom ROM and kernel’s, first they need to unlock their bootloader and install custom recovery and for that, they need to install ADB and fastboot drivers. 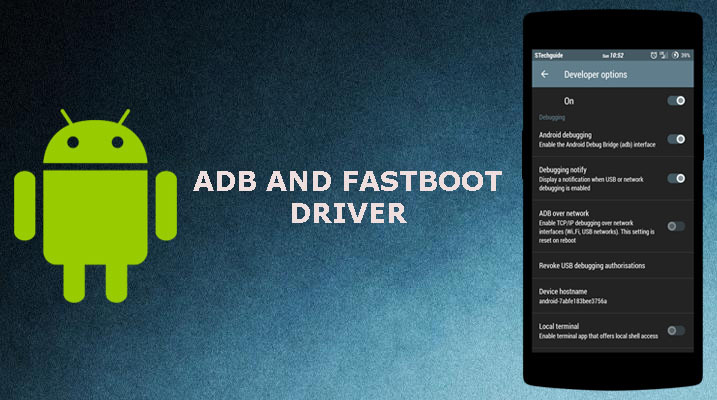 And in this guide, we help you to install ADB and fastboot on Windows and Mac OS. Install ADB and Fastboot on Windows: – There are two best methods to install ADB and fastboot on windows 10,8/8.1/7 and XP. First one is 15 Sec ADB installer and the second one is Minimal ADB and Fastboot. So let’s begin with install ADB and fastboot driver with 15 sec ADB installer. 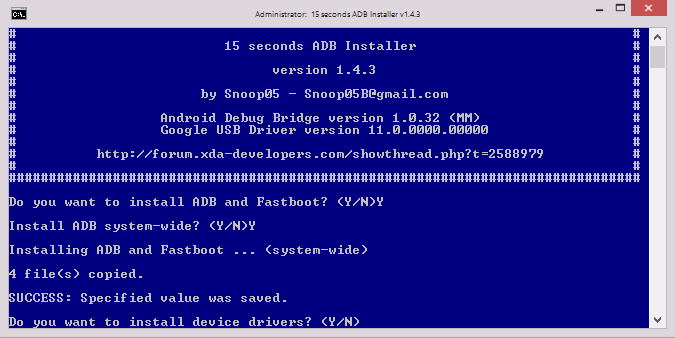 1) Firstly, download ADB Installer setup file by XDA member @Snoop05. It not only installs ADB it also installs fastboot and USB drivers within 15 seconds. 2) Now run the Exe file adb-setup-1.3.exe. 3) Now you see the on-screen command window, follow the instruction. Type ‘Y’ to install the ADB and fastboot driver. 4) It will install the ADB and fastboot drivers on your PC and copied the required files to a particular location. 5) Now type ‘Y’ again to install your device driver. It will take few seconds to install device drivers and after that, your command window will close automatically. 6) Congrats you successfully install ADB and fastboot on Windows PC. 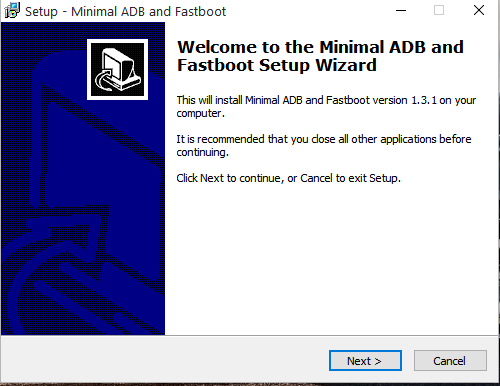 These are the easiest way to install ADB and fastboot on Windows PC. You can also check how to setup ADB and fastboot on Mac OS. If you have any doubts, comment below. Hi! I mistakenly flashed wrong rom on my P9. It is dead now, showing no sign of life. I have tried switching it on by holding the power button for more than 30 seconds, pressed Vol Up + Power, Vol Down + Powe and all 3 buttons together, nothing is helping. In the command window, when i type adb devices, it does not show any device. But when I type fastboot devices, it shows my device. Can it be retrieved by any means? TIA. Alternatively, if your device bootloader is unlocked, then you can also flash TWRP and install custom ROM. How are you ? I have Lenovo Ideatab A2107A-H, Android 4.0.3. I was trying to upgrade Android 4.0.3 (ICS) to Android 6.0.1 (Marshmallow). I was trying to download TWRP using Flashify but there was no relevant version for my tablet. So, I used Recovery.img file which I have downloaded from somewhere on internet. But when I flashed Recovery.img file using Flashify my lablet rebooted but the the screen stuck on Lenovo screen at the start. I reset my tablet many times but in vain. I also tried power button + volume up button at the same time to go to factory reset but it did not work as well. After that I fully charged my tablet and press power button to start again it stuck on lenovo screen. Would you like to help me out. I will be very thankful to you !